Sincere apologies, Curmudgeon. Thank you. Is that the back of Kieran Mulvey’s ceann above? 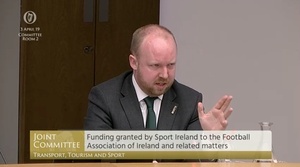 He’s the chairman of Sport Ireland. 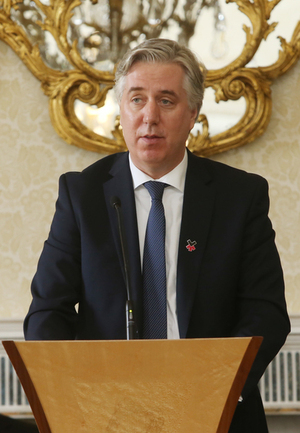 He is also Denis O’Brien’s nominee on the board of Independent News and Media. Small world. 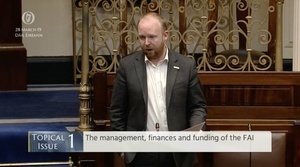 Keiran Mulvey is a non executive director, Redacted brought him into INM because he wants to shut the Citywest plant and run it out of the Irish Times’ plant. Mulvey will be brokering the deal with SIPTU. John Treacy’s opening statement states that Sport Ireland isnt a regulatory authority and that those personal rental payments are none of their business. They give the the money what they do with it is entirely up to them. 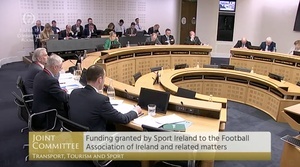 Whoah, Sport Ireland gave the FAI 25% of the total allocation for 2019 “at the end of March”, right smack bang in the middle of this loan controversy, without having received satisfactory answers. 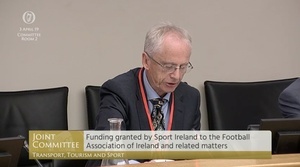 Sport Ireland has now given 50% of the total allocation for 2019, seems to be very much front loaded. 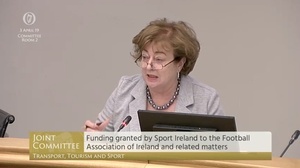 Vanessa will appreciate the accounts for Sport Ireland, 10 board members paid between €60-130k each. Largish legal expenses. 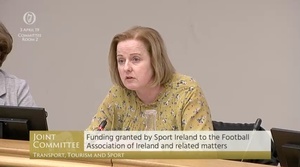 They get €66 million a year from the taxpayer to promote sports. Recipe for political pork barrelling croney gombeenism. What’s the story vis a vis Rock and O’Dowd? 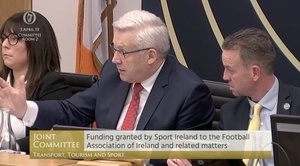 They need to withdraw funding from the FAI now. 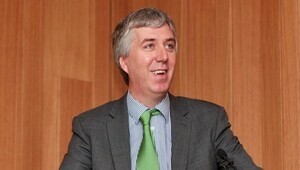 The only way to get the FAI to change its ways is to hit it financially. They need to, but they won’t because this is Sparta, I mean Ireland. What a strange way of questioning by O’Keefe. He should be told that if he walked out of Kildare street and just crossed the road it would likely be illegal as there are 2 crossings well within the 10 metres or whatever it is exactly laid out in the statute book. Delany hides money in FAI accounts so his ex wife wouldn’t get any of it? I wonder did he declare it in his divorce proceedings? FAI would not be stuck for 100g so the above is the only logical explanation. If not, why did Delany seek a super injunction to stop any reference to the loan getting into the public domain? @Dan he claimed that the only reason the Sunday Times could have known about the loan was that they got it from his “in camera” divorce proceedings, ST proved that they didn’t. 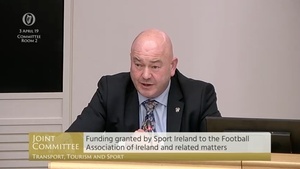 Judge told Delaney to get lost and Delaney has been caught with his pants down.. in the legal sense, I’m sure his ex-wife’s lawyers will be wanting to look at the FAI’s books very closely..
Where’s Shane Ross? Hiding in the bath with Harris and Vradkar? What? Is Hickey not a Celebrity. Celebrity Write-offs isn’t a new show? just today a fella at the office was wondering how to circumvent an issue with family inheritance tax..sure jasus I have the answer for him now so!! 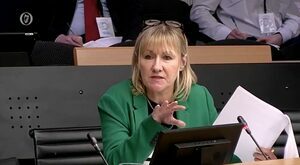 get the da to loan the money and shure when all’s said and done and the da is 6ft under they could just get it written off. because, like, humanitarian grounds. and if he lent it to a company? how is Hickey & co gonna get away with the benefit of that spent money Frillz? revenue surely interested in €400k spend..some bik or worse due, no?